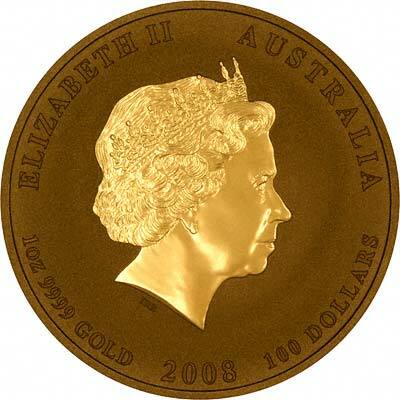 The 2008 Australian gold bullion 'Year of the Rat' coins were due for release on 5th October 2007, we received our first delivery on 12th October 2007 and now have them available for immediate delivery. These are part of the second series for the Chinese lunar calendar. If you are looking for an interesting and unusual gift, then next year's new coins take some beating! As UK Prime Distributors for the Perth Mint, we are accepting orders now. The Chinese Lunar Calendar is based on a 12 year cycle, each year in the cycle is associated with a different animal. 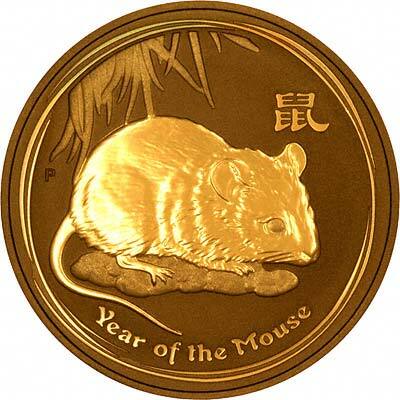 The Perth Mint in Australia started issuing series of Chinese Lunar Calendar Coins, in gold and silver, in 1996, which was the Year of the Rat. The 12 year cycle of this first series ran from 1996 to 2007 inclusive, and all designs proved to be very popular. We rarely manage to buy any of the older years, which tend to be very hard to source. 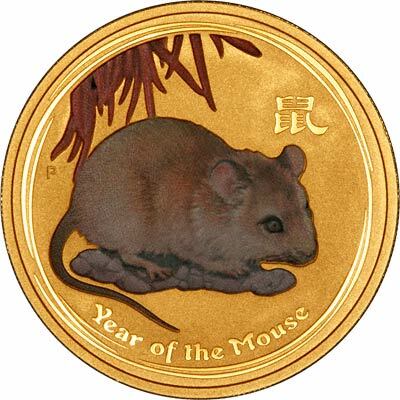 In view of the success of and demand for the first series, the Perth Mint are to produce a second series, starting with the 2008 "Year of the Rat or Mouse", which we also expect to be very popular. We just hope the next twelve years don't fly past as quickly as the last twelve! We recommend that you buy this year's coins while we still have them available. We are now taking advance orders. The reverse of all sizes and weights is to be identical, while the obverse will show both the monetary denomination, and the size (weight of gold content). This is a change from the first series, on which the weight was always shown on the reverse. The second series also features the Chinese character for the animal the year represents, so the 2008 coins feature the Chinese character for mouse.